For more than two decades Goldwind has been innovating for a brighter energy tomorrow. 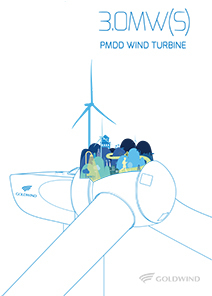 The Goldwind 3.0MW(S) PMDD platform is part of that innovative future. 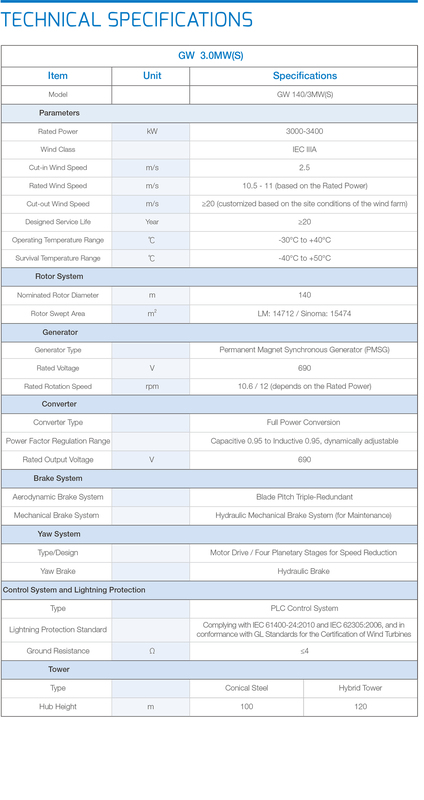 While the design principles of the Goldwind 3.0MW(S) and 2.5MW remain much the same, the new GW3S Smart Wind Turbine introduces best-in-class energy production, smarter controls and industry-leading reliability. Scalable capacity. Through the scalable nature of the GW3S platform, the rated output of the turbine can be scaled from 3.0MW to 3.57MW and features an increased rotor diameter size of up to 140 meters. As a result of the adaptive nature of the 3S platform for varying wind speeds, the turbine can be extensively applied to projects with average wind speeds ranging from 5.5 to 8.5 m/s. Scalable rated power and group control systems are two key elements for maximum energy production. With these two site-adaptive technologies combined, turbines synchronize closely with each other to compensate for any loss in total power output. The two technologies can also be utilized for decreasing noise emissions, to operate in special wind conditions, harsh terrain and extreme high/low temperatures. Smart control. Based on Goldwind’s big data analysis of tens of thousands of installed direct-drive turbines and more than 20 years of wind energy expertise, Goldwind has partnered with DNV-GL and ECN to develop the most advanced optimized control algorithms for maximum energy capture. Structured design. 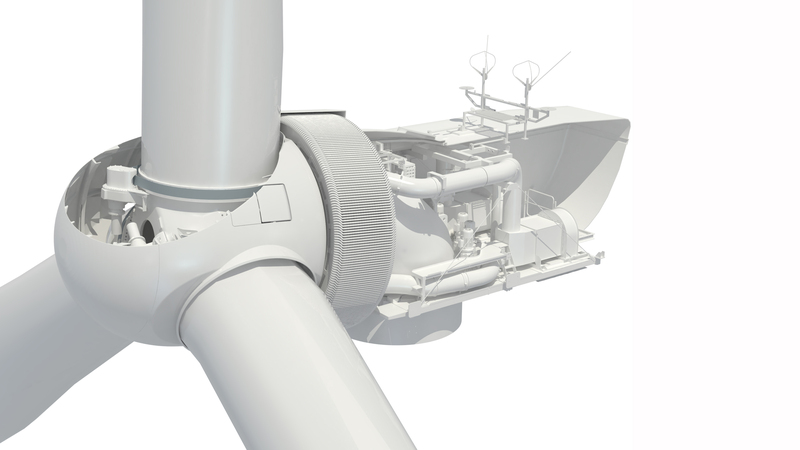 In addition to Goldwind’s overall optimized design features for unique operation conditions, the GW3S’ modular approach features shared blade molds, a single blade erection method, and modular generator technology – all of which support efficiencies in logistics, installation, and operations and maintenance over the life of the turbine. Double-circuit design. Goldwind’s double-circuit design architecture for the GW3S PMDD generator enables continued limited operation in the event of a circuit failure until the time when a service technician is able to execute repairs. This partial power output approach results in more energy capture for the customer during periods in which the turbine would otherwise be out of service.